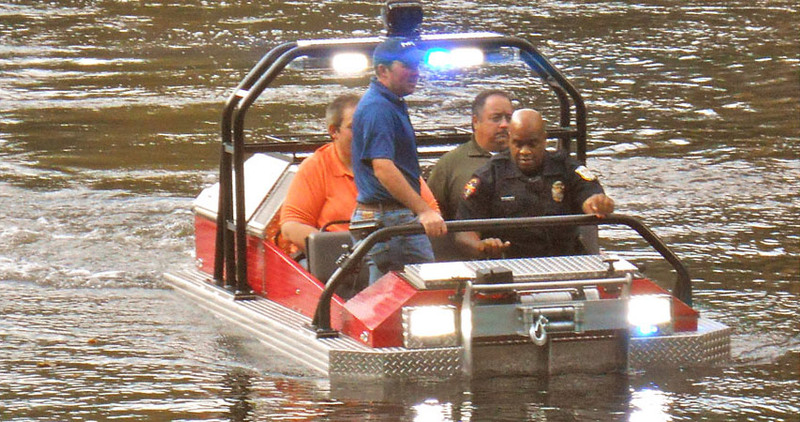 The XA66 amphibious vehicle is the only non-tracked Hydratrek®, but it is very versatile and smooth riding. 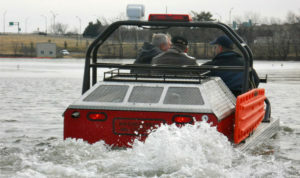 This vehicle is powered by a 44 HP turbo-charged Kubota diesel engine (V1505T). 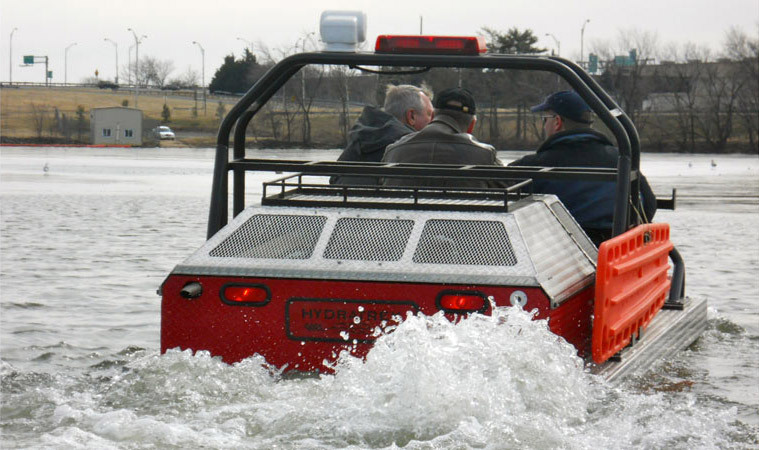 Like every Hydratrek® model, it is constructed from marine-grade aluminum and operates via a closed-loop hydrostatic drive system. The XA66 is outfitted with six aggressive ATV tires, and each one is driven by a hydraulic drive motor. 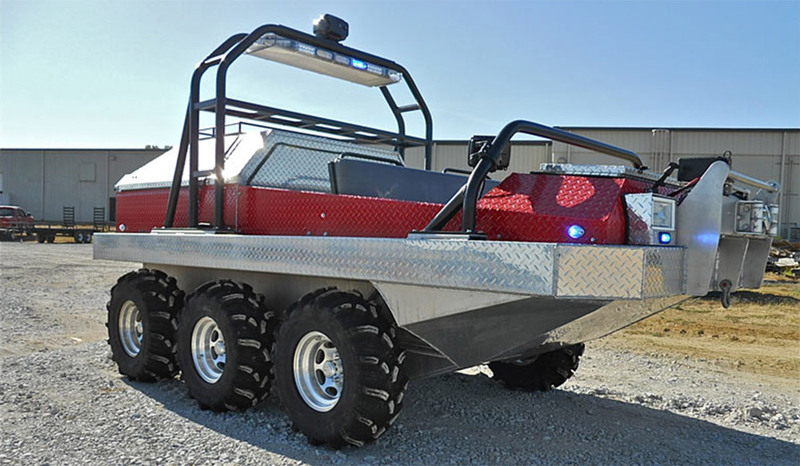 Two hydraulically driven propellers at the rear of each Hydratrek® ensure that deep water crossings will not slow down your operation. Additional options include front or rear mounted electric winch, seating for six adults, powder coat paint, salt water kit, closed cab system, tie-down points, backup alarm, rear cargo rack, spine board & mounting hardware, and emergency lighting.